Situated in the lush lands in the south of the country, Tuxtla Gutiérrez is the fascinating capital city of the Chiapas state in Mexico. 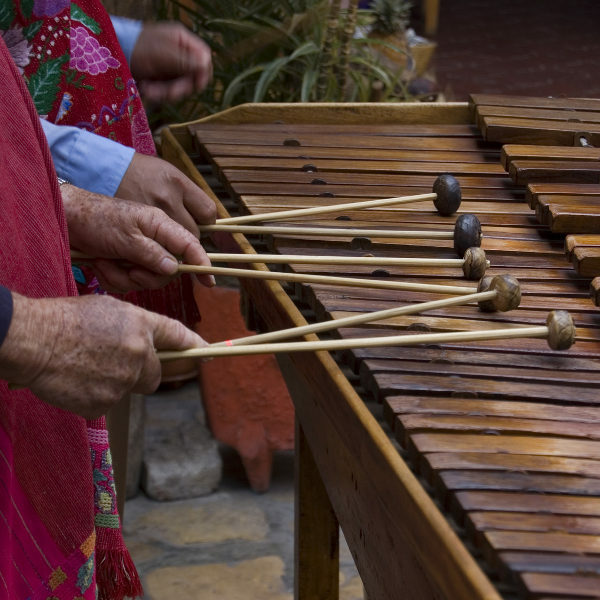 The more than 585,000 residents of Tuxtla Gutiérrez invite visitors to late night marimba dancing, great food and tours into the surrounding natural areas. Attractions include Sumidero Canyon and Marimba Park. Get ready for a trip of a lifetime, because cheap flights to Tuxtla Gutiérrez are now available for a limited period of time. Tuxtla Gutiérrez is home to Tuxtla Gutiérrez International Airport (TGZ), located on a 35-minute drive from the city centre. 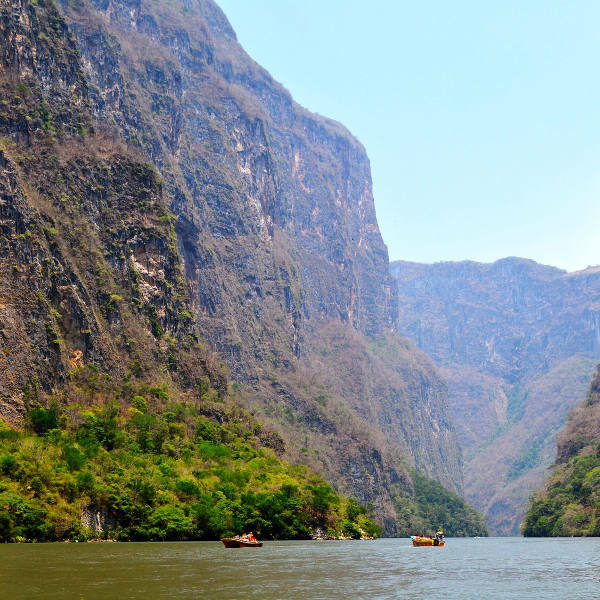 The great Sumidero Canyon towers almost 800m over you as you enjoy a tranquil boat ride down the river canyon. Other scenic locations include Marimba Park and Faustino Miranda Botanical Garden. Weekend evenings are spent swaying to the sweet sounds of the marimba at Marimba Park, while the kids chase each other around the central white gazebo, having a great time. 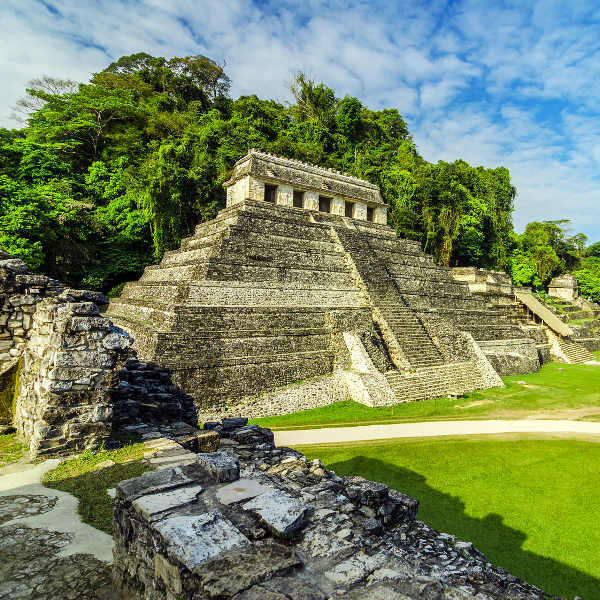 Visit the pre-Columbian Mayan city of Toniná and tour the temples and preserved sculptures of a people that once ruled in South America. Tours are 2 -3 hours long. There’s never a bad time to visit the southern Mexican city of Tuxtla Gutiérrez as it’s always sunny. Summer in the city (June to August) can get excessively hot and humid though (the city is situated in a valley) so perhaps it would be best to visit between December and February, as the temperatures are slightly cooler. The Mayan Ruins are a very popular attraction and can get crowded over this winter period. Also, as it is winter in the rest of its neighbouring countries, such as the USA and Canada, tourists tend to visit sunny Mexico during this time. For cheap flights to Tuxtla Gutiérrez, consider visiting in the spring (March to May) or autumn (September to November). Rich in beautiful, natural landscapes and welcoming locals, the city of Tuxtla Gutiérrez in the Chiapas state is an affectionate city with family-owned businesses and pavement seating all around. They may not speak a lot of English but with some broken Spanish you’ll be able to get around and even make a friend or two. There are some great attractions in and around the city, especially so in the lush mountainous area, so plan to stay for a few days to truly appreciate it all. The evenings are filled with indulging in some great Mexican food and dancing to the sounds of the live band playing at the Marimba Park in the downtown area. Don’t watch your clock as you join in with the locals and dance the night away. Outside of the city, the mighty Sumidero Canyon is enough to make you feel like an ant as it towers over you with its almost 800m high cliffs. Take a boat ride to fully enjoy the serene river and all its amazing views. One of the main tourist attractions are situated in the hilly Chiapas green lands – ancient Mayan ruins from the pre-Columbian city of Toniná. Learn about this historical civilisation while you tour and appreciate the temple pyramids and preserved stucco sculptures. Compare several airlines, and book your cheap flights to Tuxtla Gutiérrez online at Travelstart! When travelling to Tuxtla Gutiérrez it is advised to practice caution with your valuables, though the city is much safer than many others of the same size and the locals are very welcoming. Avoid walking around alone at night and if you do need to travel after dark, call a taxi from your accommodation. It is always best to have a thorough medical checkup and routine vaccines before travelling anywhere abroad. For your trip to Mexico it is recommended to get a shot for hepatitis A and typhoid.